PLACE the bread in a single layer on a baking paper lined tray and sprinkle liberally with parmesan cheese. Bake in a hot oven 200°C for 10-12 minutes or until golden and crisp. SPRAY the tuna with oil and cook in a hot frypan or on a BBQ plate until just cooked. ARRANGE the lettuce on individual serving plates. Top with toasted bread, tuna and asparagus. 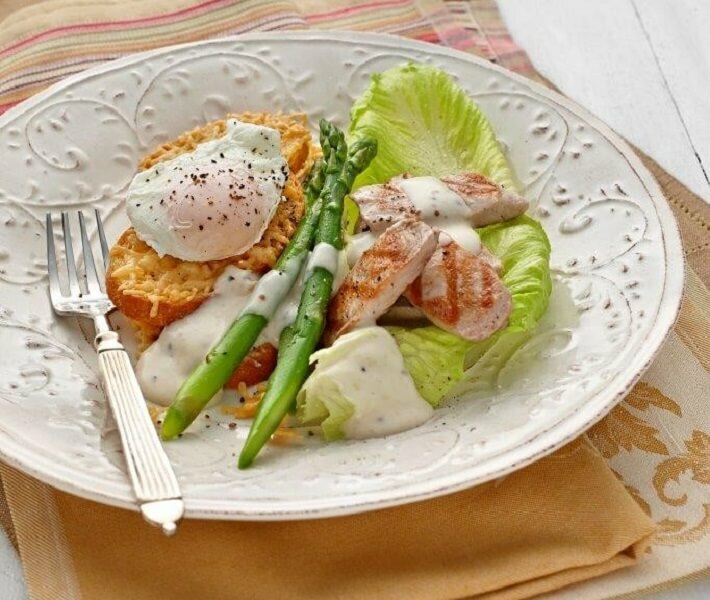 Finish with a poached egg, pepper and a drizzle of dressing. Serve immediately.